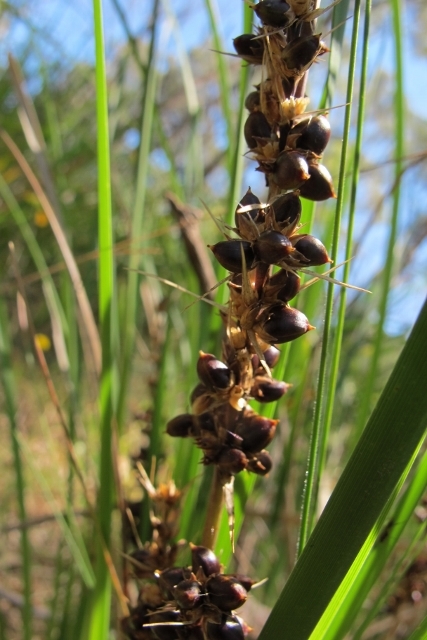 Spiny-headed Mat-rush ( lomandra longifolia ) have yeilded their best crop of seed for many seasons this year. These tufted perennial herbs with ribbony leaves usually 50 -100cms long are common in our forests , partically on alluvial flats. The seed heads are maturing now so monitor closely as the seeds shed quickly . Fresh seed germinates in 8-10 weeks and seedlings usually grow strongly. 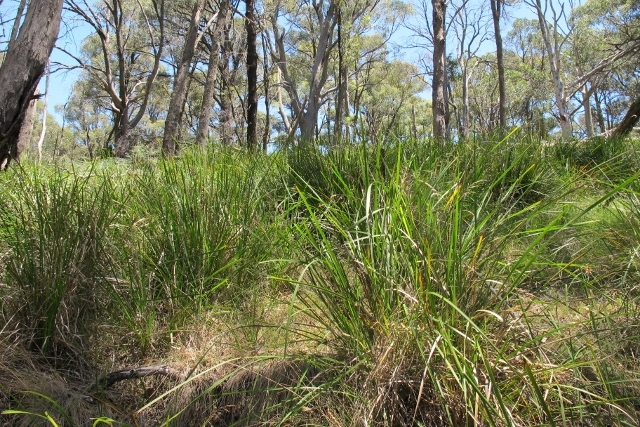 Lomandra makes excellent habitat for ground fauna. 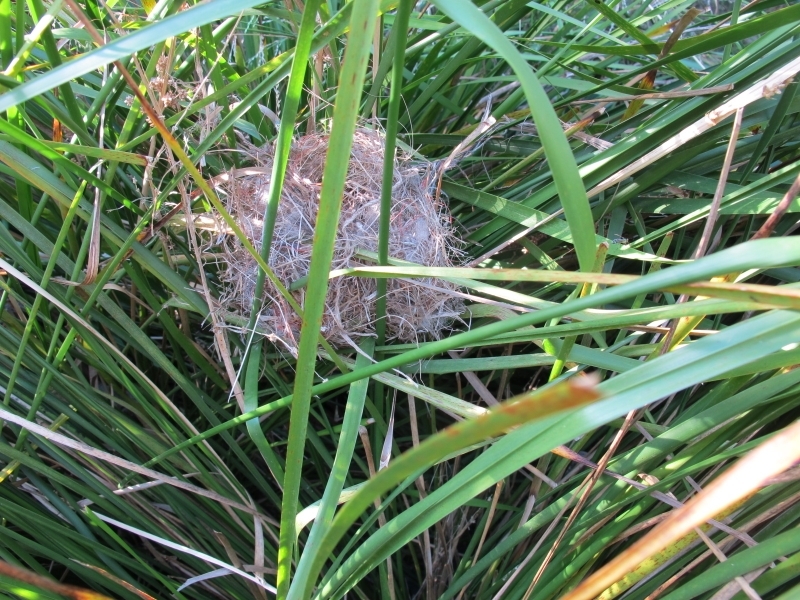 We have some superb blue wrens who have built a precarious nest in a clump near the house. 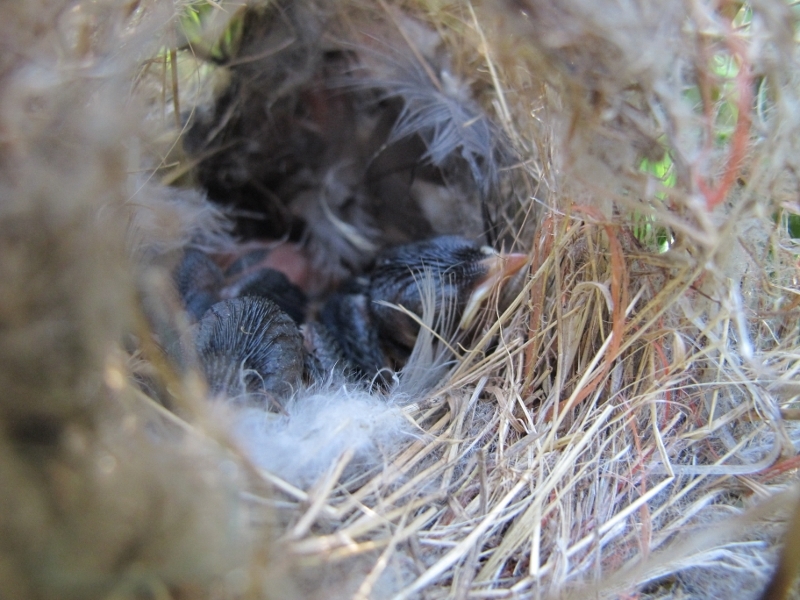 The nest is only 40 cms from the ground and quite exposed. The chicks have hatched but would make a tasty snack for a passing snake. Lomandra is a valuable food plant for caterpillars of native butterflies and moths , which attract insect-eating birds. They create low-level shelter and are excellent for stablizing banks and are useful for planting around dams and ponds. They are very hardy plants which prefer moist , well-drained positions but will tolerate dryness and poor drainage , full sun or full shade.